Chatting on Facebook,Gmail,Yahoo and much more on a mobile phone is no more new and you are quite familiar with it. But chatting on facebook, gmail and yahoo is now easier, faster, better and interesting than before with the aid of the marvelous SH messenger,no doubt my friends always think am on my Personal Computer(PC) because i am always online on Facebook,Gmail and Yahoo not knowing I'm on my mobile phone. - it enables the signing in of multiple accounts i.e you can sign in your Yahoo,Msn,Google talk and Facebook at the same time. - it notifies you of new chat message by vibration and backlight blinking. - it is Internet and WAP supported . - it features smileys,buddy icons and status change. - it enables image sharing and it display image upload. - it also features very beautiful backgrounds and much more. 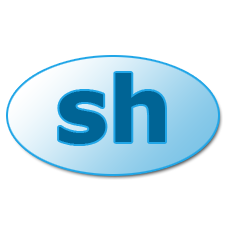 A Free account must be created at Sh messenger. More versions are available on the website.